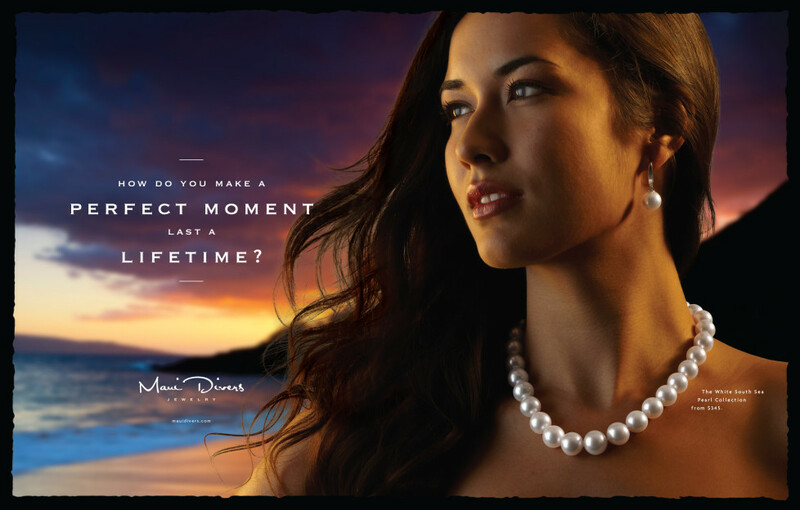 Maui Divers Jewelry has always been everything to everybody: they sell the whole range of pieces, from inexpensive to high end. They wanted an ad that upscaled their brand, but also kept their essential “Hawaii-ness”. Being in a place like Hawaii is a very sensory experience; visitors walk off the plane bundled with the travails of their former, busy, workaday life. Once they arrive, they begin to feel again… they take in the fragrances of the plumeria, the frisson of the warm seawater rushing around them. We attempted to capture that sensuality in these ads.